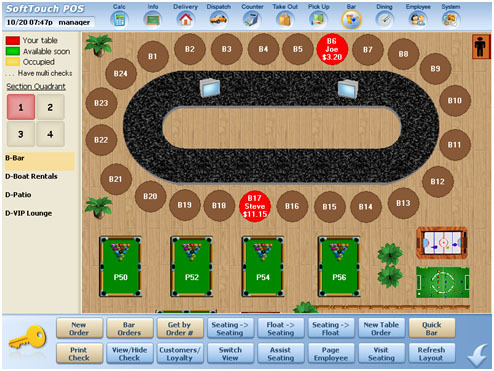 Customized bar layouts for efficiency and simplicity. Track orders clearly by seat location. "Floating" checks allow bar tabs for individuals not tied to a specific location. Unlimited price levels for drink specials and promotions. Assign a name by simply swiping the credit card anytime while in order. The order can also be retrieved by swiping the credit card.